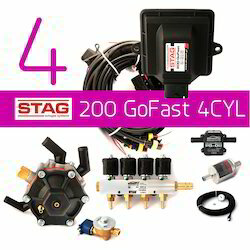 STAG is the most compact AEB ECU and it is perfect for installation in small spaces. Furthermore it has an very good quality/price ratio. 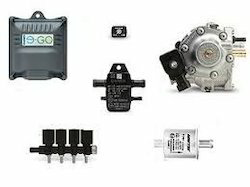 STAG uses a 32-PIN automotive connector and requires a minimum number of connections to sensors and actuators: for this reason its installation is much simpler comparing to other ECUs. 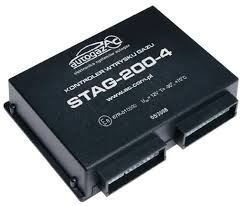 STAG ECU is designed for 3-4 cylinders multipoint timed sequential injection engines. 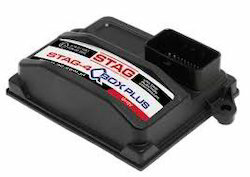 While running on gas, the STAG ECU, according to fuel injection time, gas temperature and gas pressure, calculates the gas quantity to be injected in gaseous form in the intake manifold for replicating the performance of the engine running on petrol STAG is equipped with a diagnosis system on every Gas component, which is monitored by the calibration software during the installation of the system and all along the engine lifetime. The EASY FAST C-OBDII system is designed to transform engines from 2 to 8 cylinders and is characterized by highly advanced and reliable technology. It's very user-friendly and intuitive to reduce the time of its calibration. The components are integrated to minimize the amount of space and the installation time. QBOX PLUS and QNEXT PLUS modern and compact controllers with an advanced feature which allows you to customize the perfect autogas settings in almost every car. 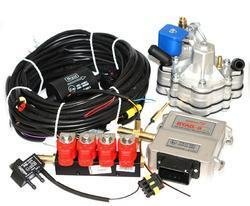 Controllers is intended for vehicles with 4-cylinder engines with indirect fuel injection. angle connector (QBOX PLUS) or simple (QNEXT PLUS). The processor is designed and manufactured only for use in automobiles, features many characteristics and flawless use. ISA 3 is an innovative approach to auto-adaptation, which should be done after the actual time of gasoline injection with some OBD parameters. Auto-adaptation OBD guarantees gas injection, exactly suited to the operating conditions and engine load. Influence on the composition of the mixture not only has information about the time of injection of gasoline, but also the modification in accordance with correction of current gasoline unit. Automatic OBD error canceller provides deletion of selected OBD malfunctions, without the need of connecting external devices. The product have been approved and accepted by Indian govt. Department like ARAI / VRDE / ICAT / CIRTas well as RTO. 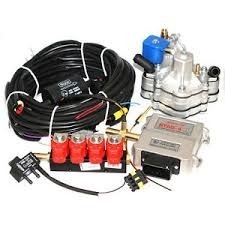 • Build-in sequential petrol injection emulator. power, torque at the same level as for petrol fuelling. • Automatic switching to petrol in the case of the lack of gas. • Automatic switching to gas fuelling. • Meets Euro 5 exhaust emission standards. • Reminder to check the gas system. • Accurate dosing of gas, depending on the rotational speed of the engine. 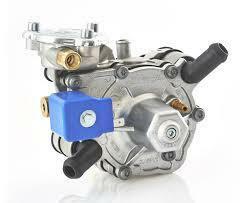 • Allows for the running on gas within the entire engine load range. • Imperceptible moment of switching to gas fuelling. • ensures optimum operating conditions of the autogas system and safety of use.